Regi Taylor | 2/16/2018, 6 a.m.
"Are we @%*#^&! cops, or are we in a gang? Which one is it? You can’t have it both ways," was the fearful and frustrated response of former Baltimore City police detective, Joe Crystal, dreading physical harm and pleading to a Police Benevolent Association official for help. In 2012, officer Crystal found a dead rat under a wiper blade of his car's windshield after reporting the vicious beating of a handcuffed suspect by cops he'd accompanied on a buy and bust drug operation, and their subsequent false incident report. When police become perpetrators, the domino effect of their behavior has a negative ripple across the law enforcement institution, the local government, the community and society-at-large. The consequences are social, economic, cultural and political. 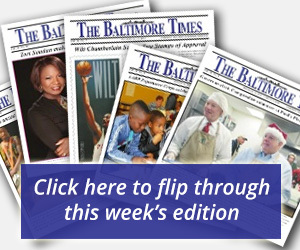 The recent pleas and the guilty verdicts returned in the corruption trial of rogue cops from the Gun Trace Task Force have had strong reverberations in all these areas for the City of Baltimore. As in the case of Detective Crystal, the perception of police as societal protectors and servers was severely damaged— again. 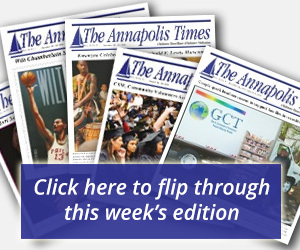 More than a Blue Wall of Silence, in a role reversal, the long-held complaint of law enforcement that citizens could play a larger role in battling crime by reporting what they know has been turned on its head because the “Stop Snitching” ethos of Baltimore police, in part, abetted the scope and ferocity of corruption that came to light during the recent trial. The hypocrisy of criminal's “policing” has terribly eroded the social fabric. The corruption trial, while particularly heinous, should not distract from the more systemic misbehavior of a minority of Baltimore's roughly 3,000 police officers, evidenced by the U.S. Justice Department's consent decree enacted one year ago. The eye-opening economic impact of police misconduct in Baltimore, nearly $20 million in payouts in five years between 2010 and 2015— averaging $11,000 per day— is untenable. The damning effect of police as perpetrators on Baltimore's culture is quite daunting as well, demonstrated by the anarchic scene of legions of well-armed police facing off against thousands of enraged citizens. Although officers accused of Freddie Gray's death were acquitted, the reputation of officers as perpetrators of violence against citizens, made an epic confrontation inevitable and portends future square-offs without strong, immediate redress. Politically, the effect of police as perpetrators in Baltimore is a two-edged sword. Mistrust of the police by citizens, precipitates a lack of confidence in the leadership and perceived lack of ability of City Hall to effectively govern. This disillusion by the electorate discourages voter participation and routine civic engagement. Unfortunately, lack of civic engagement and voter participation are part of the problem. The police were never intended to police themselves and City Hall was never intended to administer government— without the consent of the governed. While Mayor Pugh won office handily with 57 percent of the votes cast, 234,055, 36 percent of the electorate didn't bother to vote— 131,453. Detective Crystal asked the right question about whether the Baltimore Police Department is a gang or a law enforcement agency. We must ask ourselves: do we fight the power or become The Power? To influence City Hall and police the police, we must participate in our democracy. Vote intelligently! Regi Taylor is a West Baltimore native. The married father of four is an artist, writer and media professional specializing in politics and history.